Guyyyssss! 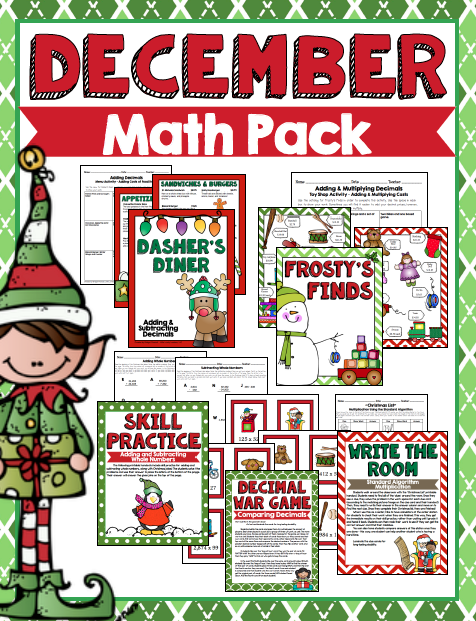 I am sooo late sharing my December Math Pack with you! However, if you are in the hunt for a few last minute activities that are educational but FUN...you're in the right place! My kids used this pack today in class and we had so much fun! Welcome to Dasher's Diner and Frosty's Finds! This diner and toy shop activity is so much fun! My students loved reading the descriptions for all of the holiday-related food items! My kids spent math time today adding and multiplying decimals using the menu and the catalog to "shop" (there are printables that go with this pack, but you can also create your own activities with these items). My students worked in pairs to "shop" and "eat" using the item prices found in the menu or catalog. This was such a great way to review their decimal skills without boring them on this last week before holiday break! ...and now they are using the menu for Dasher's Diner! In this pack, there are also other games like a decimal war game and a "write the room". If you have not heard of "write the room" before, it is probably because it is usually used in lower elementary grades! My sister used write the room activities with her little kinders, and I just HAD to copy because I knew my fifth graders would love an excuse to be out of their seat! In "write the room", students have a printable worksheet that displays different images (or other visuals), along with an answer space next to that image. They then walk around the room to find the "clues". The clues have the matching visual/image on them. When a student finds a clue, they answer the question on their paper next to the matching image. When they are done, they find a seat! I usually have something on the board for my students to do when they are done. During "write the room", some students complete their work more quickly than others. I also love to use "write the room" at a center! Then the kids at the center go back to their table when they finish and compare answers. If they disagree, they need to figure out where their mistakes are in their work (with the help of their team!). Below you will see the write the room cards that come with the Christmas pack, and the record sheet the kids use when they walk around and show their work. Found a clue! Working hard! Just a few more photos of what comes in the pack! Reading Corner with a "Worldly" Flair! I love having a reading corner in my classroom. The students love to lay/sit in there when they write, edit, read, and do partner work. I actually wish my whole classroom could be this comfy! I get my best work done when I am laying on my couch...so I bet my students would get great work done if they were comfortable! My reading corner, of course, HAS to match my classroom theme of pink, navy, and teal. However, I wanted there to be a 'worldly' flair to it because I find geography SO important. Fifth graders don't have a very good grasp on our "world" unless they have traveled with their families. I am super excited about the new items I got from Oriental Trading this Summer because I feel like they really helped me add geography to my reading corner! The students favorite part about the reading corner is the globe! I have more than just one, in fact, each student has one! They are inexpensive and accurate! I feel like other globes I have found that are inexpensive do not have the most accurate-looking continents, or they are not labels. These globes have so many countries and continents labeled, as well as the lines of longitude and latitude. The kids love to sit in the reading corner in the morning and afternoon when we have a few minutes of free time and look at the globe. They like to name countries and challenge their friends to "find it". Little do they know...they are learning! I happen to LOVE the pillows they sell at Oriental Trading. They have SO many colors and sizes. These pillows are also SUPER durable! I always have pillows that rip...and I don't know how to sew! In the past, I have sent pillows home with students and their moms have offered to sew them for me! Haha! Now, I don't have to do that! These pillows are so durable and super soft! The stuffing also keeps its shape so well... the photo above was taken after 5 weeks of school! The pencils I keep in my classroom are also "worldly" !! They have the many flags from around the world on them. The kids love to search around and figure out which flags they know and which they don't. When they don't know a flag, they have to research it! :) They are so curious! Eeeeeks! I am soooo excited to say that my classroom decorating week is complete! Sooo, many of you know that I used to have a "rainbow" themed classroom. I moved to Florida in January and decided that NOW would be a good time to change my classroom color scheme...since I was having to redecorate all over again anyway! I got to creating my white board calendar! I love this part of my classroom! This calendar keeps my whole class organized! I cut and laminated them, and then turned each piece into a magnet by hot gluing the adhesive magnetic stripping to each one. (I know...it is already adhesive...but it does not stick very well to the lamination). Then I did the same thing with my white board headings! I used my bulletin board letters for all of my bulletin board titles. The one you see below is outside of my classroom, right by my door! When you walk into my classroom and turn left, this is what you see! This area with the two large tables will be my laptop area for the kids. We each have 6 laptops for the students' use! I will display student work and projects on the board above it! 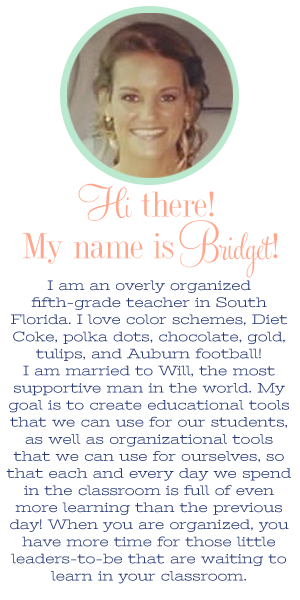 By my Promethean board you can see my "Raise a Number" classroom management freebie! Towards the back you can see my desk area, even though it is far away in this picture! This view is still from the doorway, but to the right side of the room. You can see my reading corner to the back, and my whiteboard to the right. Above the white board is my Math Alphabet Posters freebie! To the left, on the white board, you see my full year calendar! I really only use the white board for the students homework and my calendar. I use the Promethean board for everything else, so that is why my desks are facing more towards that side of the room! 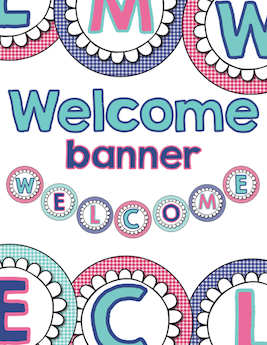 The close up of the "Raise a Number" freebie for classroom management! The kids refer to this a lot during the beginning of the year, but then they get used to it. I love it because I can be teaching or back with a small group, and the kids can raise the number. This allows me to see what they need without being interrupted. It is great for me and hopefully can be great for you, too! My fabulous web chairs and the pink baskets are from Target, the pillows and globe are from Oriental Trading (more about that on my next post! ), and the rug is from Ikea! These are the desk name tags I am going to use this year! I am super excited to get these on the desks. I use contact paper to basically "laminate" them to the desk. It works great and always lasts all year for me! I have never had a problem with students 'picking' at the contact paper. If I feel like I might have a problem with that, I could do something like offering prizes to students whose name tags make it all year! You can also see my favorite part of my desk.... my Teacher's Life Binder! ...totally organized! My sister made this canvas...can you believe it!? My sister!!! Isn't she amazing!? She has an aahhhmazing blog for new mommies out there, but she also has an Etsy shop! I just love love love how I could personalize this with my favorite quote. It think it's super cute next to my pencil sharpener and pencil cup :) These pencils with flags from around the world are from Oriental Trading! I always love to have this next to my door (inside the classroom; on the way out). It really helps me at the end of the day. Students are constantly changing the way in which they go home, and I always worry that one of them will forget they switched their routine...and consequently go home the wrong way! AH! We cannot have that happen! This is also a great help for substitutes. I use clothespins with the students' names to show how they are going home - this way, it can be easily changed if they change their transportation method one day. 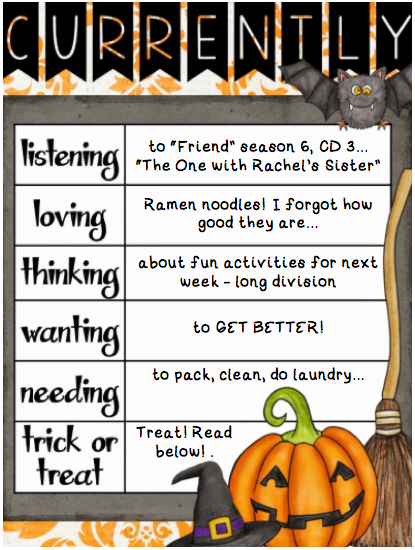 I do not have my "how do we get home" chart available on TpT, but my OTHER awesome sister does! Caitlin, from Kindergarten Smiles, has an amazing set! She even has it offered in a few colors! Most of you know that I love to base my practices on the Seven Habits, Leader In Me, idea. These classroom jobs are specifically designed for a classroom full of little leaders, just like yours! These jobs have real life titles and the description of the job is on the card. I use clothespins with the student's name to show who has which job. The baskets below the jobs will house "turned in" work in the future :) when my little lovelies come to class. This board will be FULL of awesome classwork soon! I use wrapping paper from Target as the backing of this board. The bulletin board letters are the same ones I used outside my classroom door in an earlier picture! Thanks for touring!!! 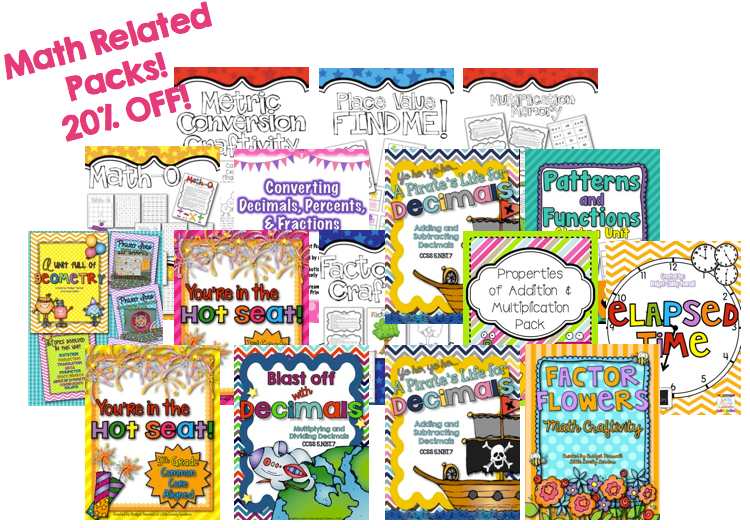 If you missed a link, find ALL links to products you have seen in my classroom below! I hope you are having fun decorating your class! If you happen to use anything from my classroom in your classroom, too, I would love to see a photo! I love to show photos of how other teachers use Little Lovely Leaders' products in their class! Labels for bins (handwritten) = go "like" my Facebook page to download this labels freebie! Happy new school year!!! Leave a link in the comments if you want to share your classroom reveal blog post, too! I have had many questions lately regarding my different Teacher Binders. Since I do not have a FAQ area on my site, I decided that I should do a blog post about the different binders, and what they include. I think this will definitely clear up some of the likes and differences between the two types of binders you can purchase from my store. 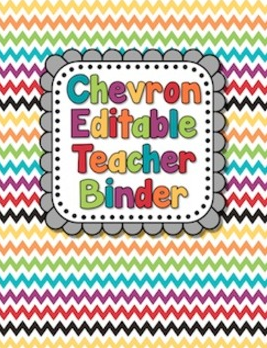 These binders are purchased at my Teachers Pay Teachers store and are downloaded digitally. You are then responsible for printing, hole punching, and binding them. 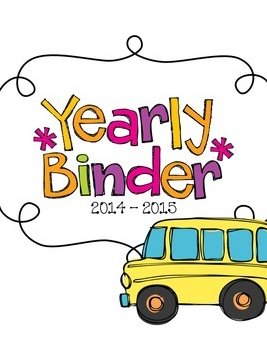 They are much lower in cost, but definitely do NOT include everything that the second type of binder includes. They are great for organization. These will help you divide your binders into sections that are more meaningful for you, as a teacher. They will help keep all of your work and paperwork organized...and in one, safe place! There are not sections in this binder for organizing your personal/home life - you will find those in the second binder option. There are sections for your students, parents, classroom, data, substitute, etc. Some people make this an all-in-one large binder, and other people make this into sooo many different binders to keep all of their subjects/topics organized! You can make this your own in so many different ways! 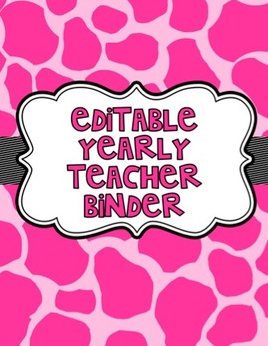 The Teacher's Life Binder can be purchased two ways: at my TpT store OR at my personal store. This binder is my personal favorite, and has been my "baby" for the past 2 years in which I have been working to perfect it. I am so glad it is finally ready to be shared with all of you! 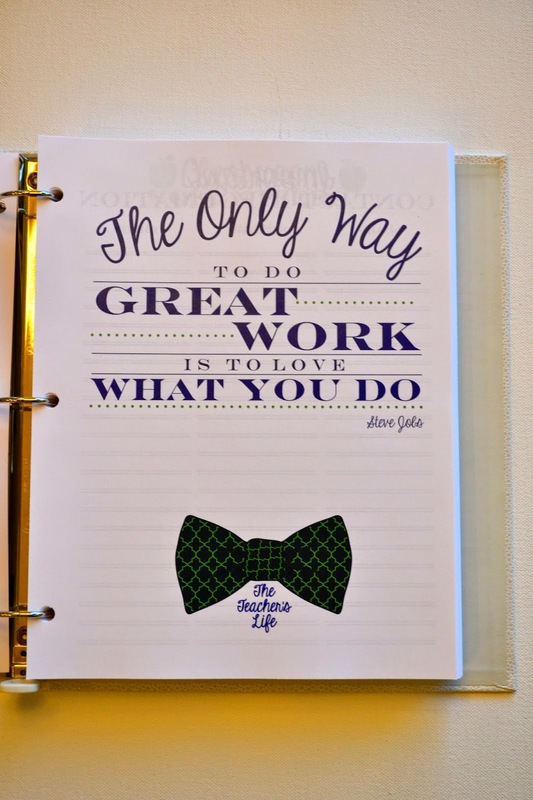 This binder is 463 pages in length, and is already designed and printed for you in full. There are enough copies for you to use them for your class, and for a full year of plans. There are also sections for your personal life. This being a MAJOR difference from the binders you saw above. In this binder, there are sections for you classroom, your substitute, your home, your taxes/bills, and your other business (like being a teacher-blogger!) Read below for more detailed information. -Contact you information – so your beautiful binder can be returned if lost! -Quote pages throughout the binder help divide up the different sections – with the quote conveniently tying in with the section idea! This binder is not editable; in other words, you will not be able to edit it or type into it. The hard cover binder does not come with the product – You will receive the 463 pages (each of which is already hole punched in the standard three-ring style) and a personal “thank you” card from myself!